Hi everyone, I took this picture in June 2017 in Rome, Italy. 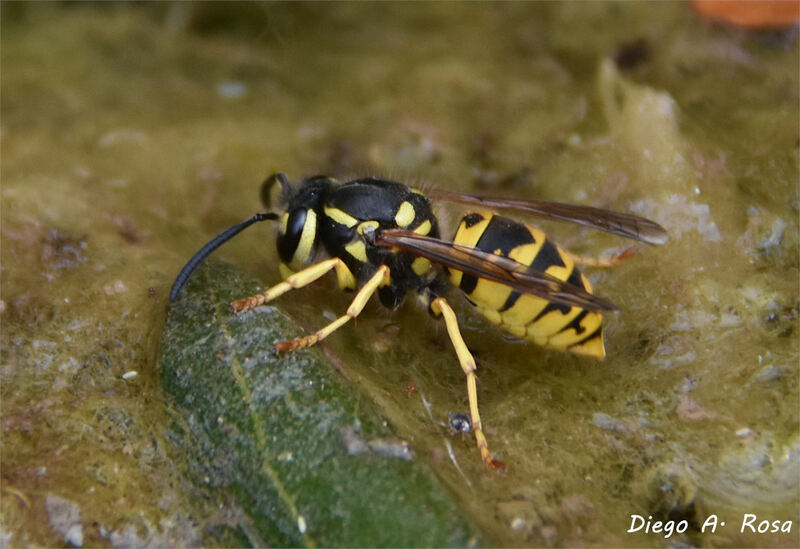 I'd like to confirm if its a Vespula germanica or other species. I found it in a pond, seeking for some water I guess. V. germanica or V. vulgaris ab. pseudogermanica. Impossible to be 100% sure without frontal shot. Many thanks, Libor for your comment. Unfortunately, I have no other picture of this wasp.